Schedule A Live Demo of Pathways! Pathways - tracks all of your services and programs in an interactive timeline. Need a checklist to track items? Curious as to how a client is progressing through your plan? Need to know if a caseworker is on track with case note reviews? Pathways can track all of those things for you and more. 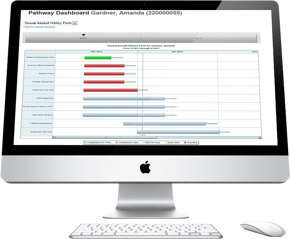 Pathways can help you create new forms, assessments and surveys for your FAMCare system. And you don't have to be a programmer to quickly create forms and setup workflow! "I love that there is so much a non-programmer can do with Pathways!"